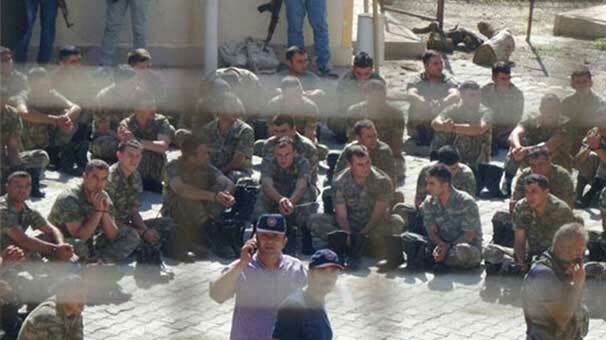 Nineteen more soldiers from the Turkish Armed Forces were arrested in Antalya on Monday evening on charges of membership in a terrorist organization for using a smart phone application named ByLock. In addition, 14 of 15 police officers under detention were arrested in Denizli on Monday for allegedly using Bylock. Twelve police officers who had already been suspended from their jobs were also detained in Edirne on the same day for alleged use of ByLock. ByLock is considered by the government to be an encrypted messaging system between sympathizers of the Gülen movement, which is accused of masterminding a botched coup in Turkey on July 15. The Turkish government presents ByLock as a secret communication tool. The app was previously available for anyone to purchase at online application stores.